Hulu’s documentary takes you through an origin tale of the Gotham City vigilante that you may not already know. By now most comic book fans know the story of Jack Kirby: the formerly unsung creative force behind a lot of superheroes and villains we love in the Marvel Universe. After hard fought legal battles that went on for years, Kirby is now recognized as one of the founding fathers of nerdom along with Stan Lee. 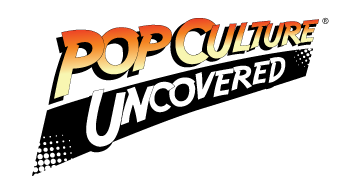 Pop Culture Uncovered reported on Kirby Week last year–Marvel’s celebration of the cartoonists’ creations and contributions. But very few fans, even those who are obsessed with all things Batman like I am, know the whole story of Bill Finger. Bill Finger was one of the unassuming main brains behind Gotham’s City’s most popular residents and villains, even of the name ‘Gotham City’ itself. 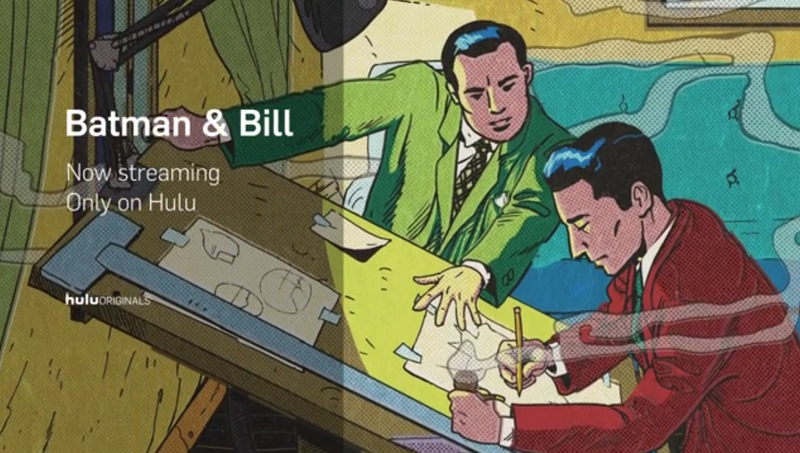 Over the weekend Hulu released the documentary called Batman & Bill, a look into the crusade of author Marc Tyler Nobleman and his determination to give Bill Finger the credit where his credit was due. The documentary features rare original audio of both Mr. Finger and other early animators in comics as well as footage from Batman co-creator, Bob Kane: the face of the Batman business. It highlights the historic difficulty content creators have receiving proper acknowledgement or compensation for their works. One contrast that stuck out to me is the fact that during comics’ genesis, when the foundations of timelines were being created that we still carry on to this day, there were many artists that will never be credited for their ideas. When you open a comic now you are sure to see at least two pages full of artist and author acknowledgements. There has been more shift towards crediting true ownership for content, even in internet and fanart works, but we still have a long way to go. Beautiful moving comic book panels act out a lot of the narration and Noblemans’ findings slowly unfold into a few complete though ultimately unsatisfying resolutions. All of the events have long gone so the outrage and spur to action that documentaries can give watchers have nowhere to go. The story is full of shadiness and snide deals, family secrets, frustration, and a lot of justice. It is a definite for anyone who enjoys Batman, comic book history, and anyone that just loves a solid documentary about unsung heroes and untold stories. Nobleman talks of being a life-long comic book fan and how Batman’s strong persistence to do right guided a lot of his journey. Other than the extraordinary story of Bill Finger’s secret life, this stuck with me longest. As a life-long nerd, I can understand how Nobleman was able to pull motivation from one of his favorite fictional characters. I am a long time Batman fan myself and I had no idea of the unknown details still hidden under Gotham City. Being inspired through our hobbies and interests is something nerds know very well. The stereotype of a nerd is that they are outcasted and teased and have to turn to their picture books and japanese cartoons to find friends. But the reality is it can be more difficult for nerds to connect in typical social situations and find it easier to identify with the characters whose worlds they spend so much time in. Superheroes remind us that we can be problem solvers, we can embrace our individuality, stand up for what we feel is right, and save the world. They also remind us we still don’t have laser beams in our eyes and we still can’t fly, but we are working on it. In loving our heroes they can give us unexpected strength and resilience and we can truly make things happen because of it. Because of Bill Finger, Batman showed Marc Tyler Nobleman that it is important to seek justice, even when you are the only one left seeking it. And thanks for Marc Tyler Nobleman, long-deserved justice has now been sought for Bill Finger.